Across The Board is a series of interviews conducted over a game of chess. In this programme Dominic Lawson talks to the outspoken journalist and broadcaster Piers Morgan. The game turns out to be a brutal affair. Across The Board is a series of interviews conducted over a game of chess. In this programme Dominic Lawson talks to the best-selling military historian Antony Beevor. 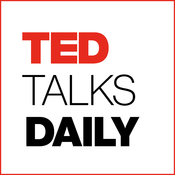 What are the parallels between chess and warfare? Across The Board is a series of interviews conducted over a game of chess. In this programme Dominic Lawson interviews the game's leading philanthropist. Mega-rich financier Rex Sinquefield is ploughing millions of dollars into the game. But why? He dominated the chess world for fifteen years. 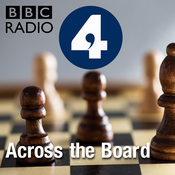 In Across The Board, Dominic Lawson interviews Gary Kasparov over a game of chess - and asks him not just about the 64 squares, but also about his life post-chess, as a staunch opponent of President Putin. 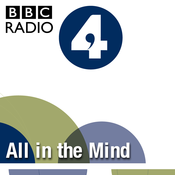 Across The Board is a series of interviews conducted by Dominic Lawson over a game of chess. Today, Dominic challenges the snooker legend Steve Davis. Davis dominated the green baize for much of the eighties. But can he dominate Dominic on the chess board? Producer: David Edmonds Editor: Richard Knight.